"Someday, after mastering the winds, the waves, the tides, and gravity, we shall begin to harness the energies of Love, and then, for a second time in the history of the world, humanity will... have discovered Fire." 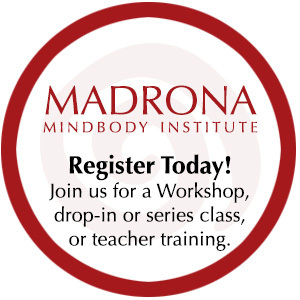 Madrona MindBody Institute (Residential Option) is a moving arts sanctuary located in Port Townsend, Washington, an easy drive from Seattle. Our learning campus is unmatched with it’s exemplary movement space—the floor and space are entirely delicious. Group meals are provided (see schedule) with local cuisine provided by Bon Appétit Catering (food for a sustainable future). Housing offers stunning vistas of two mountain ranges and full horizons of pristine beaches. Nestled inside the "City of Dreams" 434 acre park. For more information on Port Townsend and transportation, please visit Transportation & Directions. She is considered an artistic and masterful teacher of 5Rhythms Dance, traveling the world sharing her workshops and intensives. She is the original co-founder of Waves Studio in Olympia WA and now is the Director of the 5Rhythms Conscious. Amara Pagano shares information about her upcoming Fire of Love Retreat in Assisi. Video and editing by Richard Marks.